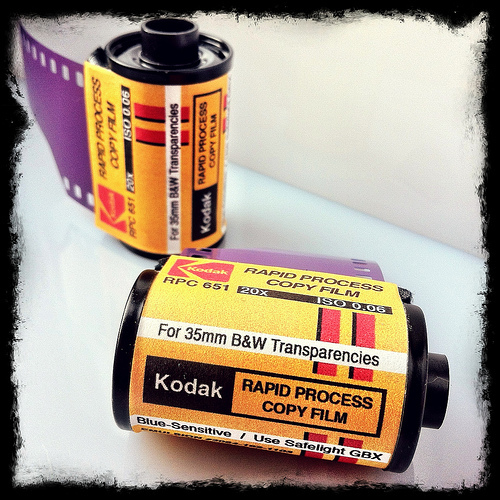 Labeauratoire : Kodak Rapid Process Copy Film for B&W Transparencies. This is a wonderfully rare film I recently found. It is actually a POSITIVE B&W TRANSPARENCY FILM so you don't get negatives but positives like B&W SLIDES!! You could even mount & project them. 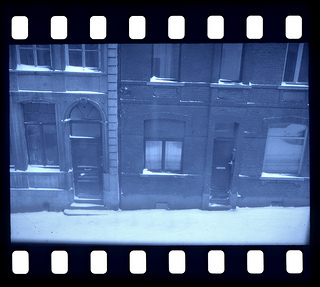 This is a super slow, high contrast film (documentation says ISO 0.06) with an almost non-existant grain structure that provides monochrome, positive transparencies with a very slight cyan/blue tint and magnificent, powerful blacks. Originally used for radiographic copy work, and copying x-rays and blueprints. 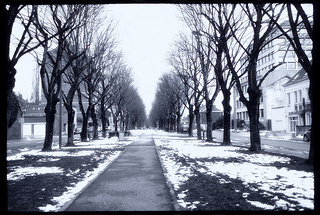 Designed to be processed in a very high concentrate B&W developer for a short time. RPC is a discontinued emulsion which expired in 1993 but is still giving nice results as you can see from my examples. 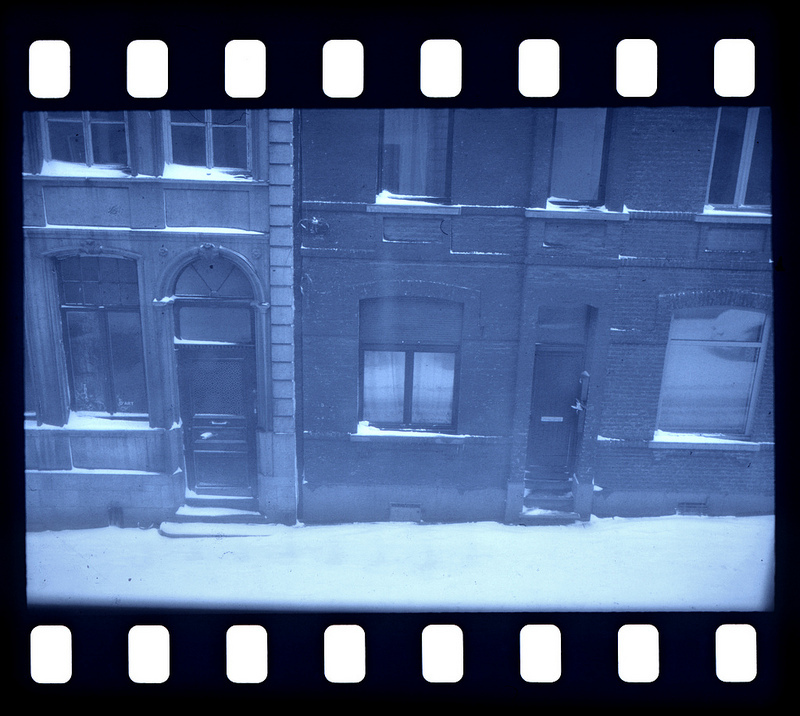 It is an extremely low speed film. Possibly the lowest speed film ever produced? Originally made for laboratory applications, this unique film allows you to take long exposure shots in broad daylight! Most of these example shots were made on a cloudy day with an exposure at ƒ4 and a shutter speed between 4-10 seconds. With higher apertures you could have exposures up to 10 minutes or more! I had the unique opportunity to acquire a small amount of this film so I have made a limited number of rolls available for purchase. Don't wait till it's sold out! I'm keeping these rolls inexpensive by re-using old film cassettes and sticking on an artsy label I've made just so you know what's inside. Using a bulk loader I made rolls of approximately 20 exposures each, sometimes a bit more or less and as with most bulk loaded film the very last picture of each roll will not be exposed as that is where it is taped. 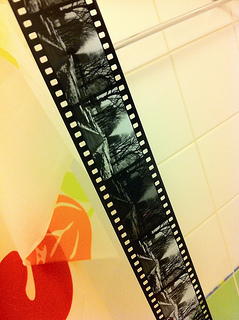 This is NOT a stock product from Kodak and I am not proporting to represent that fine company in any manner. This film has no DX code so you will need a camera than can be set to ISO 25 or use manual exposure. My Examples were shot with a Canon EOS Elan7ne SLR and developed in Tetenal Paranol 1:10 for 7.5 min at 20ºc. I suspect Rodinal at 1:10 would give similar results, you will enjoy doing your own tests.